Imagine a Civil War movie that begins as follows: Some ordinary American in 1861 is just wandering the road, perhaps idly wondering if mankind will ever invent some means of individual transportation speedier than the horse, when suddenly all hell breaks loose. Musket fire everywhere, cannons booming, soldiers in unfamiliar uniforms skewing people with sabers and stabbing them with bowie knives. The protagonist is understandably terrified, but also utterly bewildered. Who are these killers? What the hell is going on? That’s roughly the premise that Bushwick asks viewers to swallow, except that it’s transposed to the present day. Emerging from an oddly deserted Brooklyn subway platform, grad student Lucy (Brittany Snow) unexpectedly finds herself in a war zone, and spends the rest of the movie desperately trying to stay alive as others are being gunned down on the streets by some sort of paramilitary force. Fortunately, she soon stumbles onto a former Marine going by the improbable name of Stupe (Dave Bautista), who grudgingly becomes her protector, and eventually her friend. The two make their way toward a rumored extraction point, discovering en route (by interrogating a captured enemy soldier, who turns out to be from Texas) that this conflict amounts to Civil War II, and that Bushwick was targeted at the outset because the New Confederacy felt that the neighborhood’s ethnic diversity would make it easy pickings. 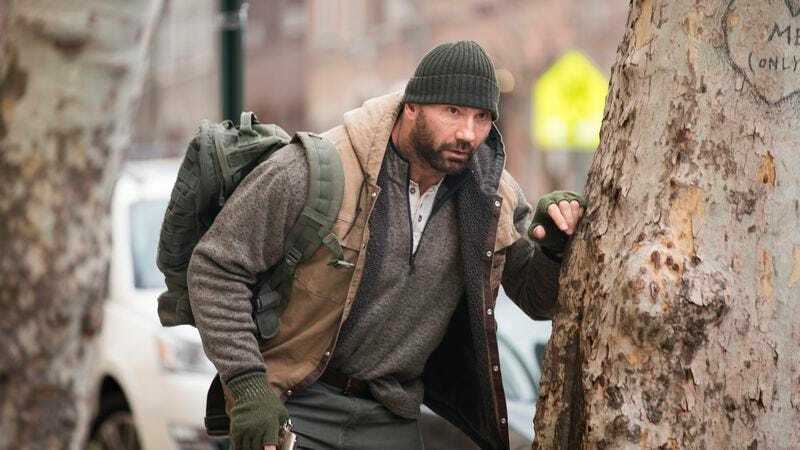 Nonetheless, Bushwick confirms Bautista as a potentially major star, capable of more than Drax’s befuddled one-liners (but apparently incapable of playing a character with a non-silly name; look for him in the role of “Sapper” when Blade Runner 2049 opens this fall). As Stupe, he’s endearingly weary, somehow projecting badass strength while forever seeming as if he’d like nothing more than to lie down for a few minutes and take a nap. His narcoleptic macho plays very nicely opposite Snow, who takes Lucy in incremental steps from barely controlled panic to courageous resolve. But the characters’ relationship, like everything else here, remains frustratingly subordinate to Murnion and Milott’s low-budget spectacle, discordantly set at times to a pulsating Aesop Rock score. Even the film’s downer of an ending feels oddly empty. 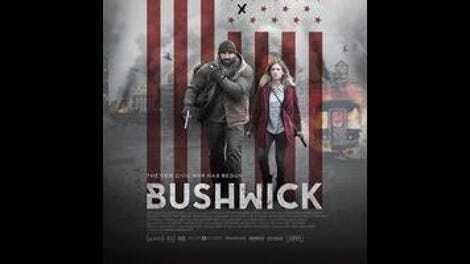 Bushwick imagines nothing less than the collapse of the United States Of America, with half the country in armed revolt. At a time when that possibility can feel all too frighteningly real, it’s dispiriting to see it employed as little more than an excuse to engineer a live-action Grand Theft Auto.